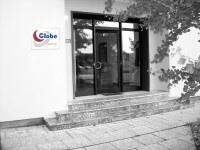 Since 1989, Globe International is a constant presence in the footwear market, particularly in slippers area of every kind and recently in the world of casual fashion, ranging from distribution to the design of new trends. With a network of specialized sales agents, the company is able to operate throughout the country, meeting the needs of individual retailers and wholesalers who can rely on a direct and continuous contact. We would be very interested to working with you and ask you to have exclusive partnership with you in Italian Market.